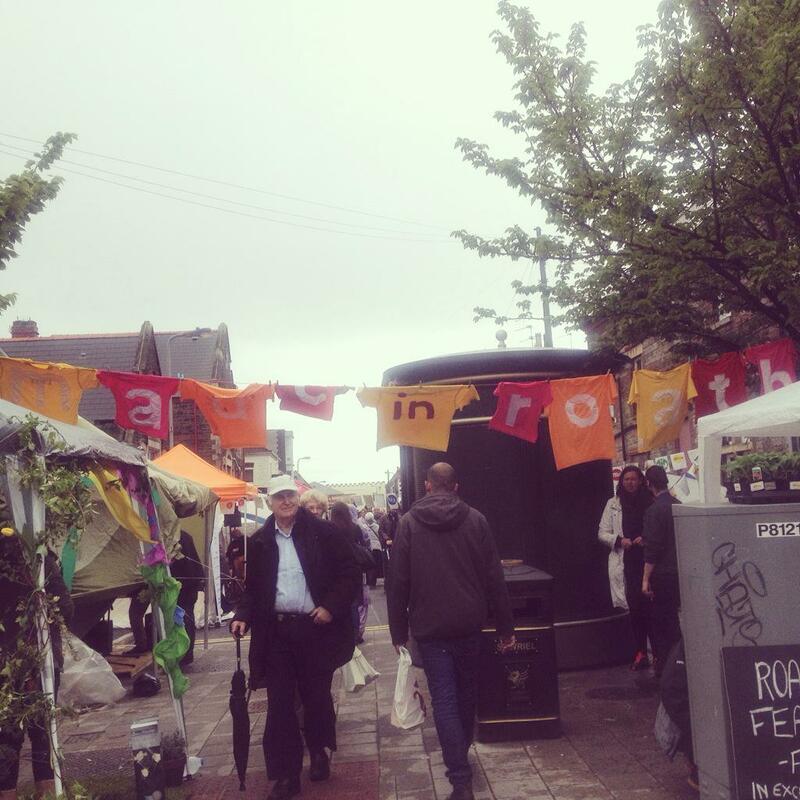 Writer Ellie Philpotts headed over to Made In Roath’s Made in Spring, to check out all the artsy happenings. Here’s what occurred! Ah, Spring. The time of joy; lambs; staggering around after too much Easter egg consumption; exams if you’re a student; battling hayfever (if you’re a hayfever-sufferer, otherwise known as Cardiff resident thanks to the blooms everywhere, pretty as they are) and blue skies (maybe not if you live in Cardiff, like most of us readers do). Have I missed anything? Oh yes… Also the time of Spring festivals! Sadly, maybe Spring festivals didn’t jump to my mind straightaway because they’re a bit of a rarity. 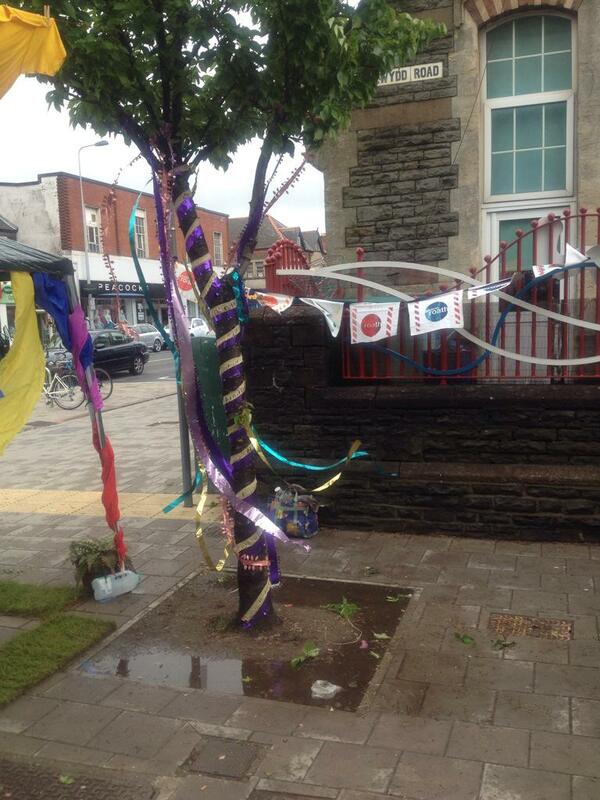 However, one compensated for the general lack of street showcases – and this was Made in Spring! I think Roath has to be the Cardiff suburb with the most going on, so I wasn’t too surprised to be instantly greeted with colour, life and vitality upon wandering down to Plasnewydd Road on Sunday 3 May. One thing that straightaway caught my eye was the washing line adorned with funky little-shirts, individually spelling out ‘Made in Roath.’ I’d already seen a similar snap as the event’s Facebook cover photo, but it looked even cuter in real life. Very Instagrammable, I must say! The whole street had put real effort into the aesthetic content, but the stall-holders and fellow browsers were what brought the event to life. 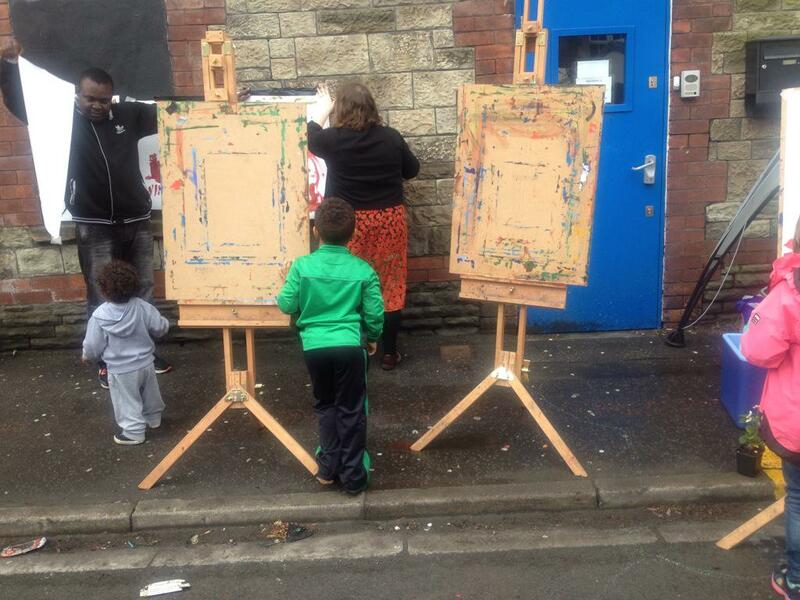 Through the medium of artistic creativity, the day appealed to everyone – young or old, native Cardiffian to newbie student. For example, there were super-cool easels to throw paint over (seriously, every street should boast one of these); purple sparkly trees (ok, human interaction may have played a role in making them so glittery); Roath Local History Society informing us through maps and books of the area’s heritage; a Hangover Tent, which I partially made my own despite having only drank Victorian lemonade the previous night, mainly because it was a private solace in which to inhale my very messy (but very good) falafel burger. 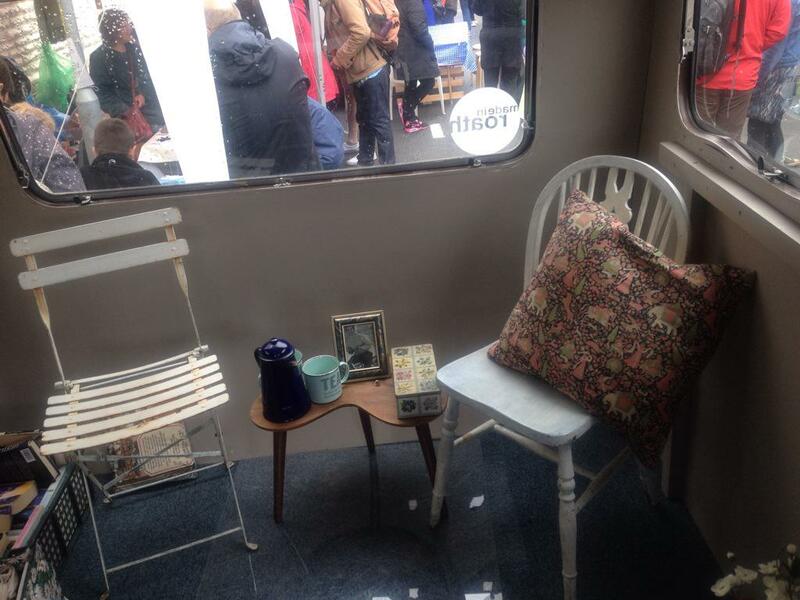 One of my favourite elements was the mini mobile-home. Not only was it decked out in adorable vintage designs, but the task was to write your definition of ‘Home.’ Some were things like ‘Home is where the bra comes off’; ‘Home is laughter’; ‘Home is where the pets are.’ I’m starting to think my goal during my Creative Writing module next year should be to be more concise, because as usual I deviated from this trend, and wrote quite a long paragraph, which of course referenced that Cardiff is now my beloved home … being a newfound Cardiffian seems to be my selling-point lately! They were also giving away novels for free. Not many things are free these days, so I loved the idea of spreading the bibliophile love for very little cost! 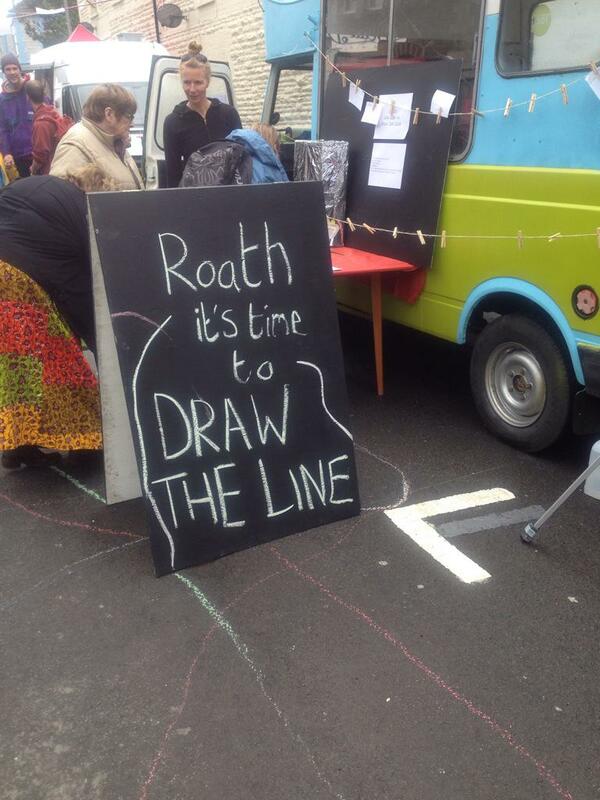 There were also hot dogs, a vintage tea and cake stall, a project called ‘Roath, it’s time to draw the line’ and a bubbling atmosphere. 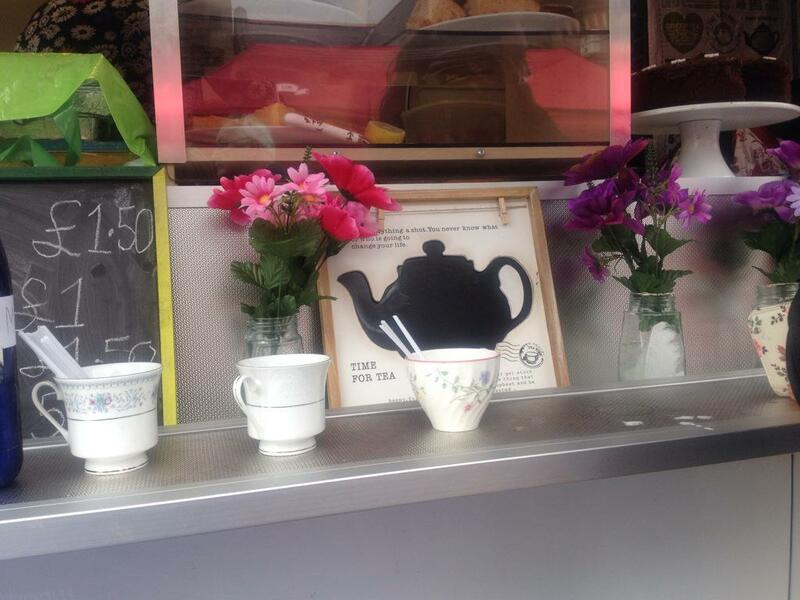 Events like Made in Spring are one of the reasons I’m such a fan of Cardiff. There’s a truly welcoming vibe – this was enhanced on the day due to the papers all splashing the day-old Royal Baby’s face – of course, this engages Britain and I’m so patriotic when it comes to all things regal – but the real sense of community came from Roath residents on May 3! 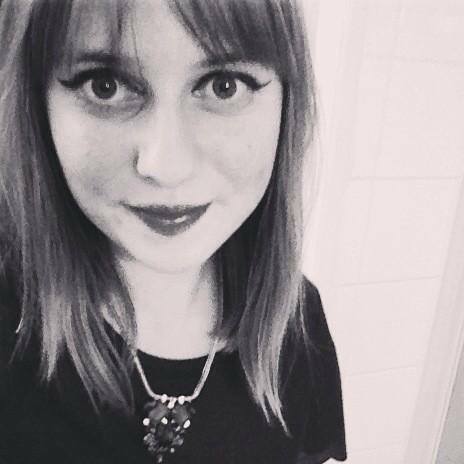 Ellie Philpotts is in her first year at Cardiff University studying English Literature, Journalism and Media. She is a teenage-cancer survivor; is obsessed with travelling, and her favourite cities outside Cardiff are being Sydney, NYC, Nashville and Paris. Her ‘likes’ also include general Britishness, cups of tea, exploring, attempting to write songs, journalism, Italian food, finding new places, going out for dinner and taking photos – of everything. She is not a fan of maths, mashed potato, narrow minded people, her phone constantly running out of memory for photos, or people who are mean about Taylor Swift. Follow her blog or Instagram. ← Welsh Hula Hoop Convention 2015 – WhoopC in review!